I have a problem with self worth and negative self talk. In particular, I'm always talking myself down as a dad — that I'm a crappy parent and that my kids are going to be screwed up because of it. 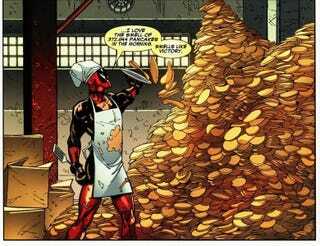 But then I just have to remind myself that I'm the kind of dad who will make pancakes for supper, and I make some darn good pancakes.